Resolutions are the hot topic this time of year. 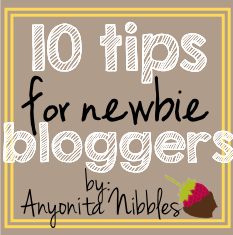 Each year, I outline at least 10 things I'd like to achieve throughout the year and this year, I wanted to do the same with blogging. Blogging for pay means you have to take blogging seriously and sometimes, it's easy to get swept up in going through the motions or posting just to post. 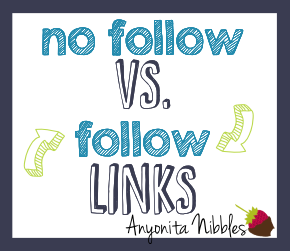 If you read Anyonita Nibbles regularly (and I hope you do! ), you may have noticed that I've been MIA. Partly because of a big computer issue and partly because I needed a break. Well I'm back & I'm back with some resolutions or blogolutions that I'd like to implement this year. 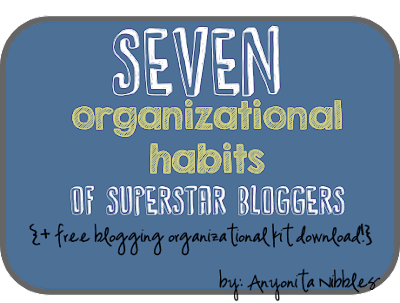 I encourage you to develop your own blog resolutions, too! Have you or will you set any blog resolutions this year? Feel free to leave a comment letting me know what they are; I'd love to hear them! Nice tips. I should follow you on all of them. Number 6 seems to be the most difficult because you never know what a person will like or dislike.